In Eagle Times v25 #3 (and reprinted here on Bear Alley) I reviewed Donald D Hood’s 2011 book Eaglewall's Table Top Navy on the history and products of Eaglewall Plastics Limited, the company that produced aircraft and naval plastic construction kits under the Eagle comic logo during the late 1950s and early 1960s. The publisher of the book, Chris Daley Publishing, has since ceased trading however the book covered the company that began in the Surrey town of Dorking under the name Vulcan producing 1/96 scale kits of WWII planes before changing their name to Eaglewall and licensing the Eagle logo. 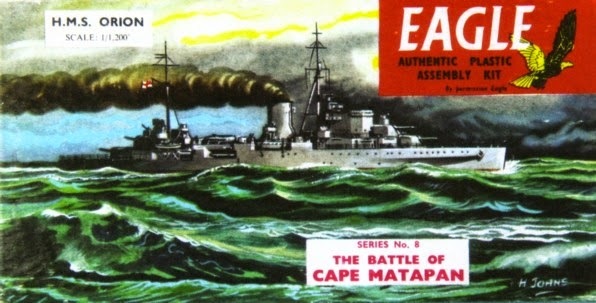 They re-released their aircraft kits under the Eagle logo and also began to produce the 1/1200 scale WWII naval ships that they are best known for. The book detailed the history of the company and focussed on the naval ships that they produced. Given that it was written by an American and published in the USA, it covered the history of the small British company that had ceased trading half a century beforehand in remarkable detail. As the book was written from an American plastic modeller’s point of view, references to Eagle comic were fleeting and Hood was unable to discover a reason for the licensing of the Eagle logo and the change of the company’s name from Vulcan to Eaglewall. He also missed the fact that Dan Dare artist Harold Johns painted, and signed with his standard “H JOHNS” signature, their box top illustration for HMS Orion. As dating evidence for when certain kits were available, as well as when the company moved from Dorking to Brighton, the book gives some detail on the adverts that the company ran in RAF Flying Review magazine beginning with a Vulcan advert in December 1957. 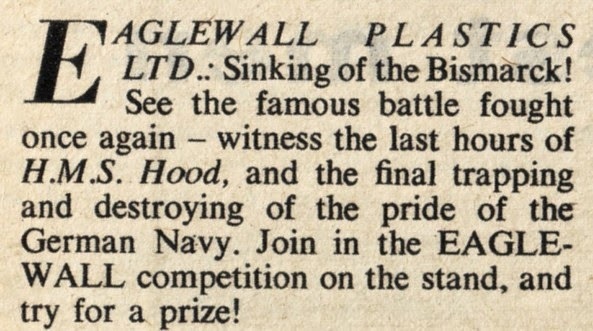 In the review I opined that it seemed to me that the obvious place for Eaglewall to advertise their Eagle kits would be in Eagle comic itself but Hood was apparently unable to access a collector with a large enough collection of comics to be able to do the same advert research for Eagle as he did for RAF Flying Review. 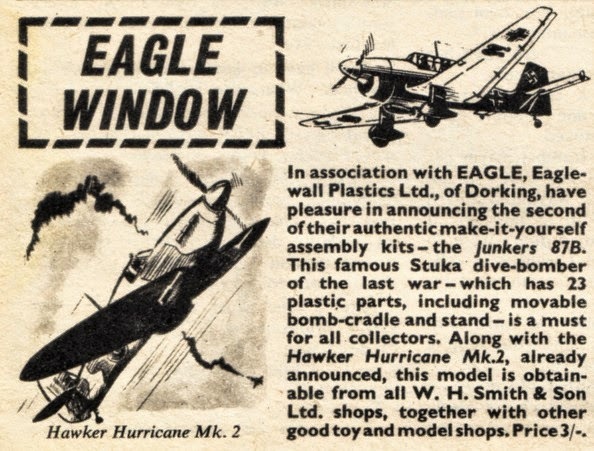 Since that review appeared Eagle Society member David Gould has come to my aid regarding Eaglewall advertising in Eagle itself and was able to point out they didn’t just run adverts in the comic but were also featured repeatedly in Eagle Window. Eagle Window was a mini-feature on the licensed merchandise associated with the comic that often appeared in the editorial page and is a handy reference for collectors for not only what merchandise was available but also when it was available. Eaglewall kits appeared five times in Eagle Window with each appearance featured their aircraft rather than their ships. It is notable that the first of these Eagle Windows does not mention the Eaglewall company by name while the rest of them do. 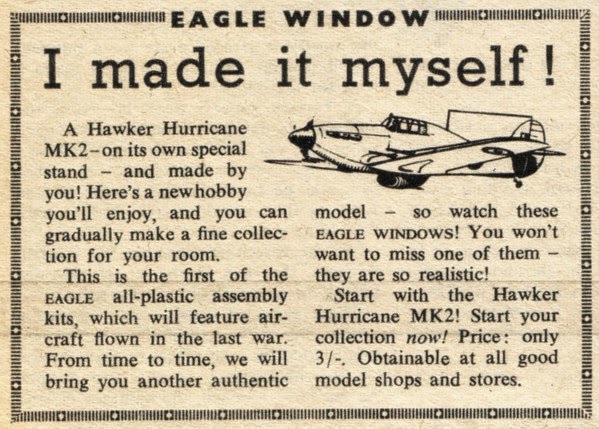 In addition to these Eagle Windows, Eaglewall adverts appeared in four issues of Eagle. 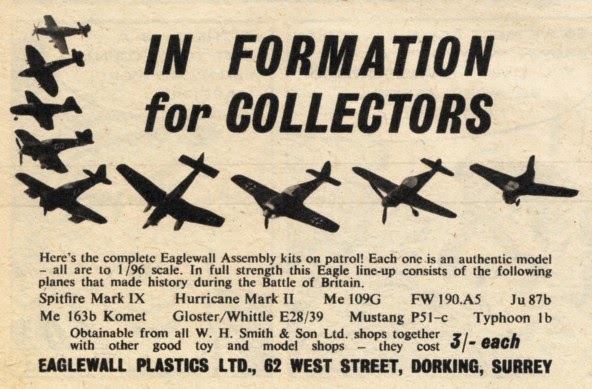 The same advert, with the punning strap line “In Formation (Information) For Collectors” featuring all nine of their aircraft kits, appeared in three issues (17 January 1959, 21 February 1959 and 28 February 1959 all with the company’s Dorking address) and this was followed much later by a single advert for their ships (18 June 1960 with the Brighton address). The Eaglewall aircraft adverts were an eighth of a page in size while the single ship advert was a quarter of a page. 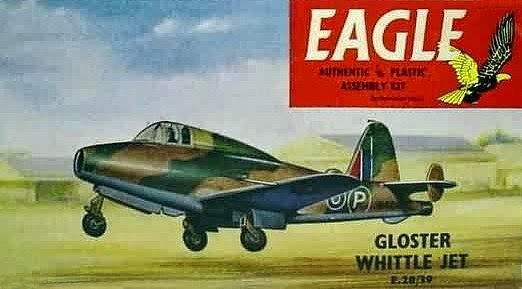 It is interesting to note that other plastic kit manufacturers advertising in Eagle around the same time, including Airfix and Aurora, ran quarter page and half page adverts which would suggest that the Eaglewall company was running on a much smaller advertising budget than its larger rivals. 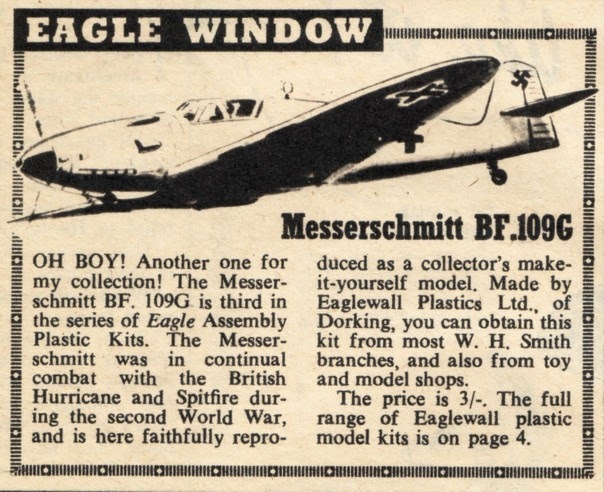 It is also worth noting that the Eagle Window in the 17 January 1959 issue directly refers to the Eaglewall aircraft advert in the same issue. 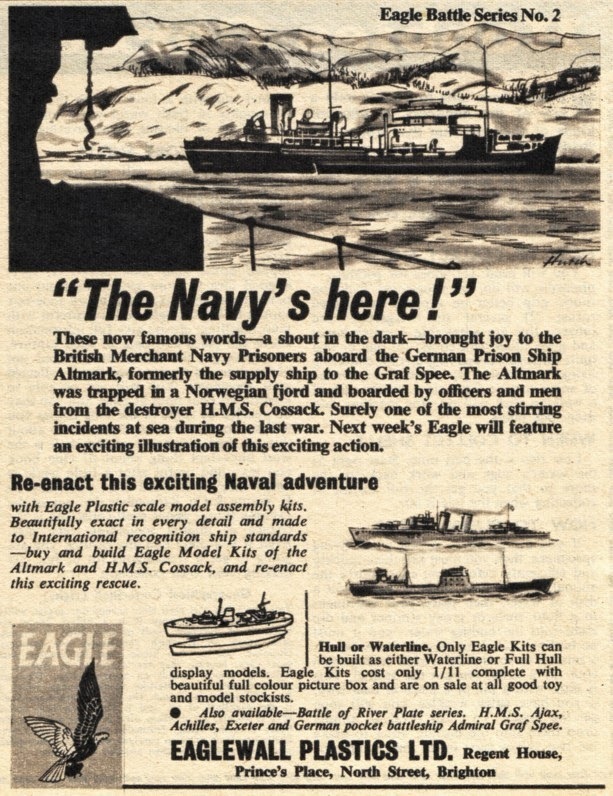 In a similar fashion the ships advert in the 18 June 1960 issue which features the kits of HMS Cossack and the German prison ship Altmark makes mention of L Ashwell Wood’s cutaway in the next issue, Volume 11 Number 26 dated 25 June 1960, which shows Cossack’s discovery of the prison ship and which is entitled The Epic Of The Altmark. This shows that Eaglewall had some knowledge of the comic’s editorial schedule. 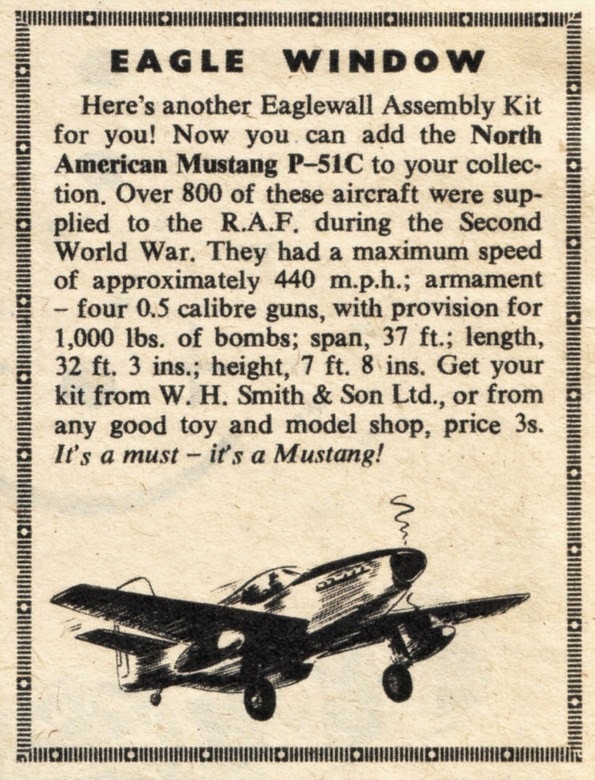 The pricing of the kits is interesting given that they are all 3/- (36 old pence) in the first four Eagle Windows as well as in the aircraft adverts which all appear in or before the 28 February 1959 issue of Eagle. By the time of the fifth Eagle Window on 24 October 1959 the Typhoon, which was included in the aircraft adverts, has the considerably lower price of 1/11 (23 old pence) which the ships advert of 18 June 1960 shows was standard across the naval ships range. Presumably by this point all the other aircraft kits had been reduced to this same price point as well. 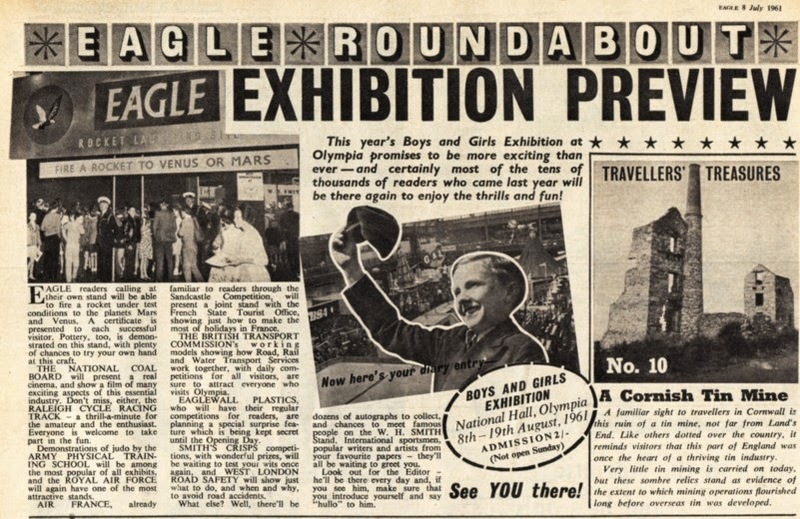 David Gould was also able to point out that Eaglewall participated in two of the Boys and Girls Exhibitions at Olympia in London, those held in August 1960 and August 1961. These were both promoted in Eagle with mentions of Eaglewall’s 1960 appearance in Volume 11 Number 29 dated 16 July, and their 1961 appearance in Volume 12 Number 27 dated 8 July. 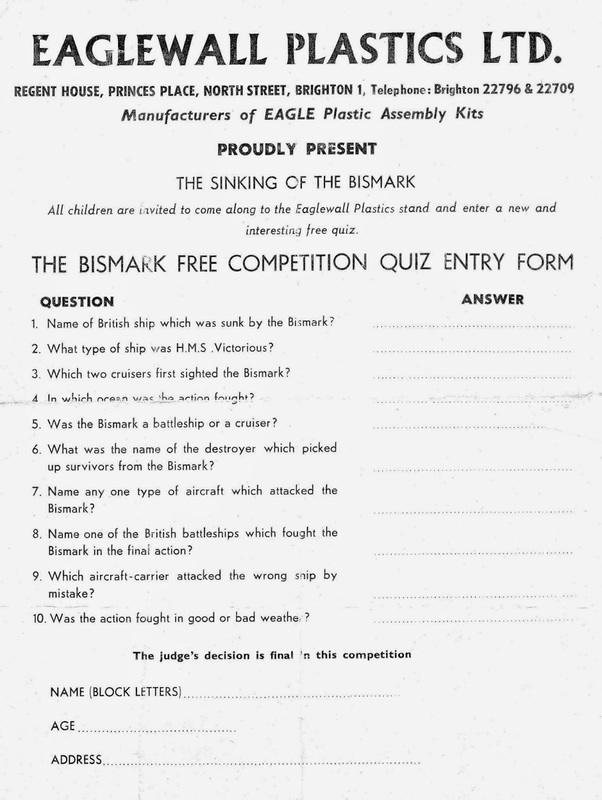 For the 1960 show the company laid on a display featuring the sinking of the German battleship Bismark and attendees were encouraged to enter a prize competition which required them to answer ten questions on the naval battle. 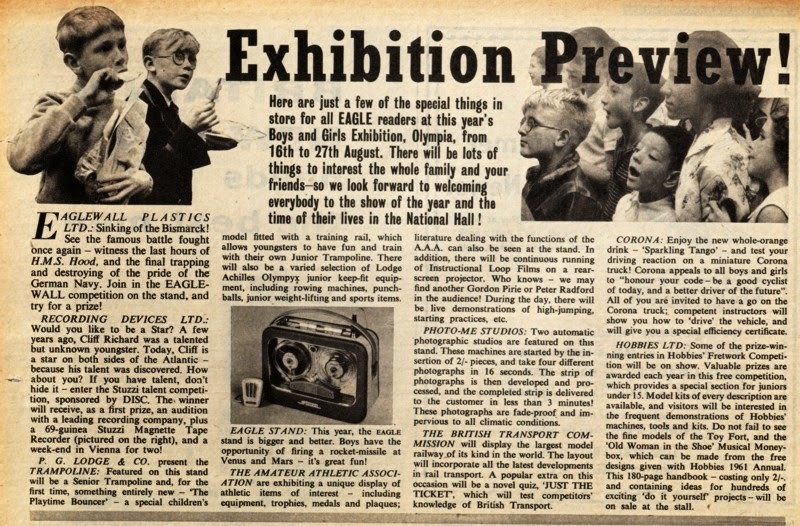 As he attended both events, David was able to say that Eaglewall’s “special surprise feature” mentioned for the 1961 event was actually a plastic injection moulding press that allowed attendees to ‘manufacture’ their own kit. 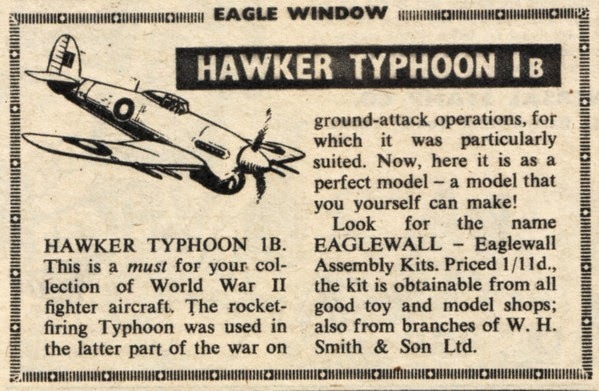 Given that the earliest Eagle Window in the issue dated 30 August 1958 suggests that the Hawker Hurricane kit that it is promoting is new (under the Eagle logo at least, given that it had already been released as a Vulcan kit), and that RAF Flying Review has a Vulcan advert in the December 1957 issue and an Eaglewall/Eagle advert in the September 1958 issue, we can assume that the licensing of the Eagle name must have taken place in the first half of 1958. 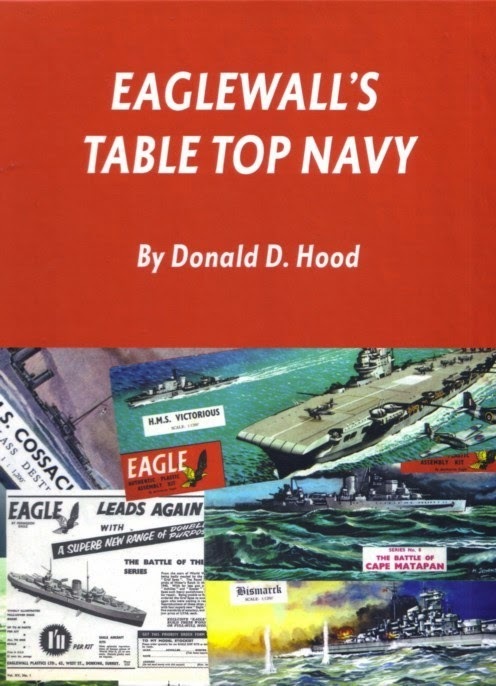 As to when the company dropped the Eagle license, Donald Hood’s book states that the last known Eaglewall advert mentioning Eagle (presumably in RAF Flying Review) was in January 1961 and the first known Eaglewall advert without Eagle was in May 1962. While this is quite a wide time period, given that Eaglewall attended the Olympia exhibition in August 1961 and were still mentioned in Eagle comic we can safely place the dropping of the licence to after August of that year. 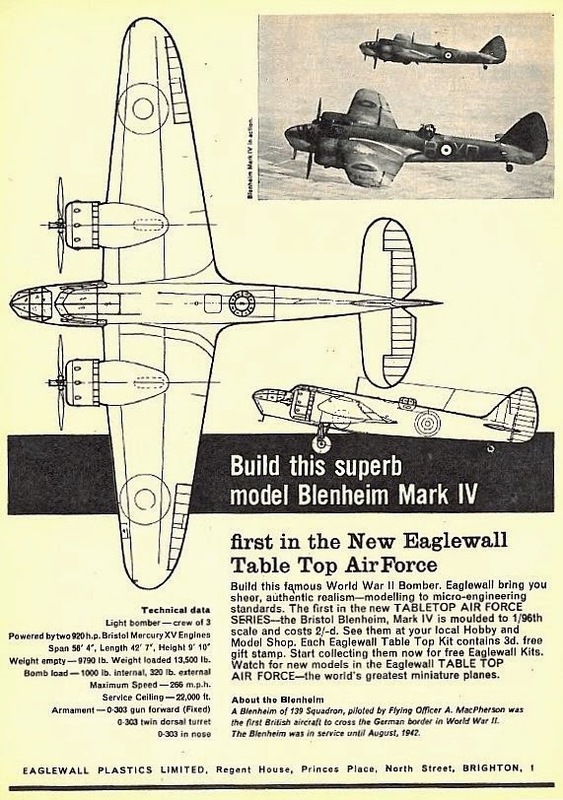 While the Table Top Navy book inevitably concentrates on the naval ships produced by the company, it also details the other kits released under the Vulcan and Eaglewall company names as well as listing a set of kits of larger WWII aircraft, the “New Eaglewall Table Top Air Force”, that never made it to the shops before the company went into voluntary liquidation in March 1963. What the book does not mention is the set of six 54mm Dan Dare figures that were released by the company under its Eaglewall name while based in Dorking and detailed by Ted Herbert in his article on Dan Dare Figures in Eagle Times v24 #4. These are the figures whose moulds passed to Kentoys and which continued to be produced under that company’s name after Eaglewall closed. 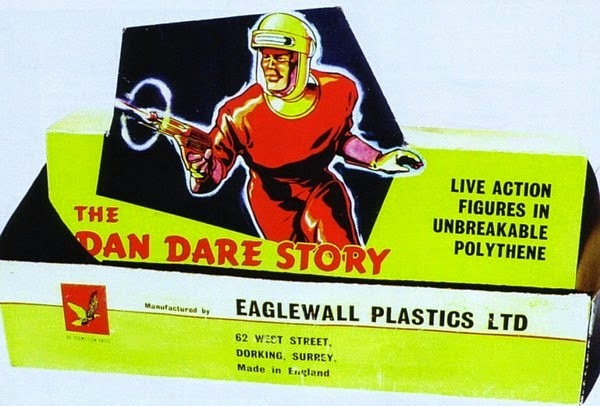 Indeed the book does not mention Eaglewall producing any plastic toy figures, Dan Dare or otherwise, so this aspect of their manufacturing portfolio remains something of a mystery. Could the licensing of the Eagle name for the kits have come about because of the dealings that the company had with Hultons over these Dan Dare figures? We may never know. Yet while there is still much to learn about the little Dorking firm of Eaglewall and their links to Eagle comic, David Gould has helped us fill in a few more of the gaps in their history.